Hello my dear friends. First, I want to wish to everyone of you a Happy New Year! 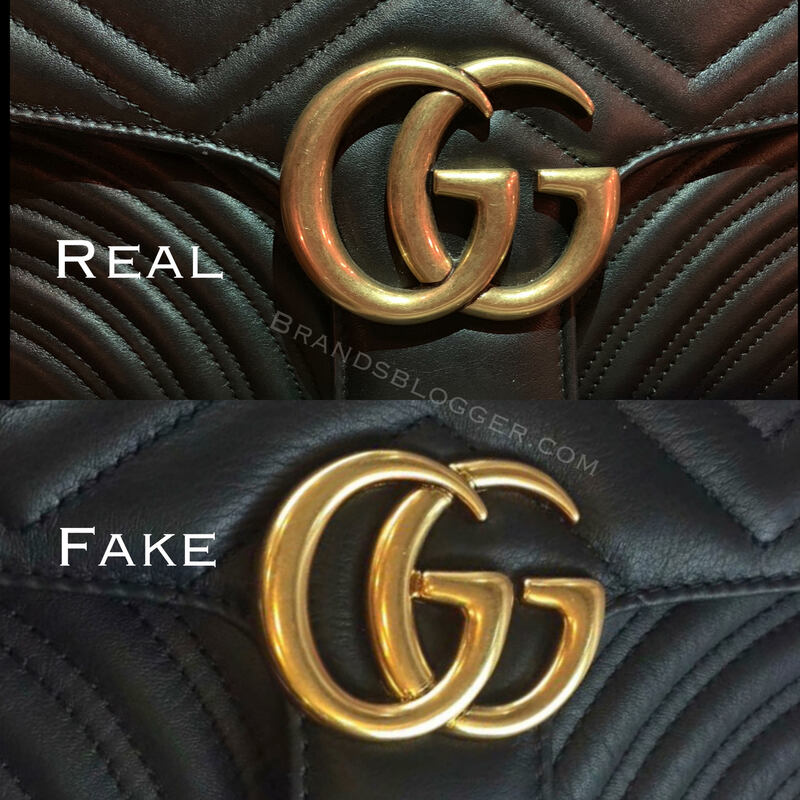 Today, I will write about the authenticity of Gucci Marmont bag, helping you spotting the differences between fake and a real one. 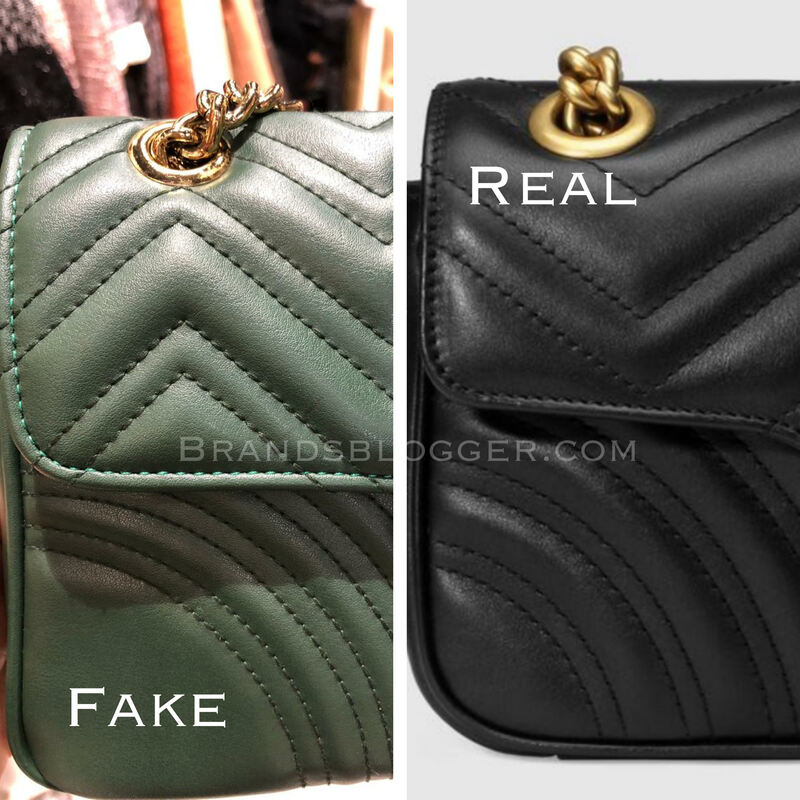 The Marmont Gucci bag, is one of the most copied product of all brands. 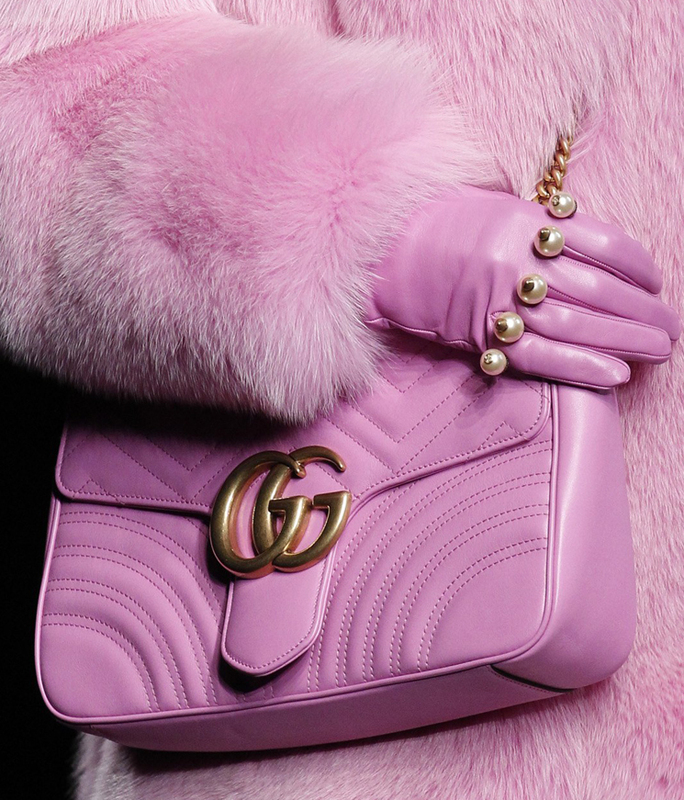 We all love Gucci, especially this product, but not all of us can afford it. 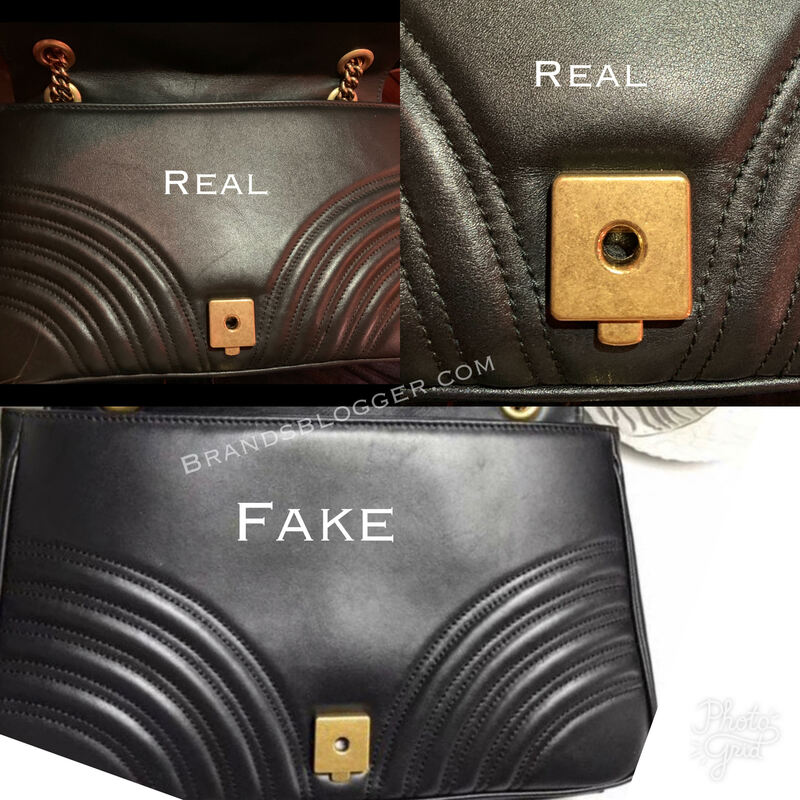 So, due to the high requested of this model, they are so coveted and it gets really difficult to tell the difference between real and fake because the fakes are getting very good. 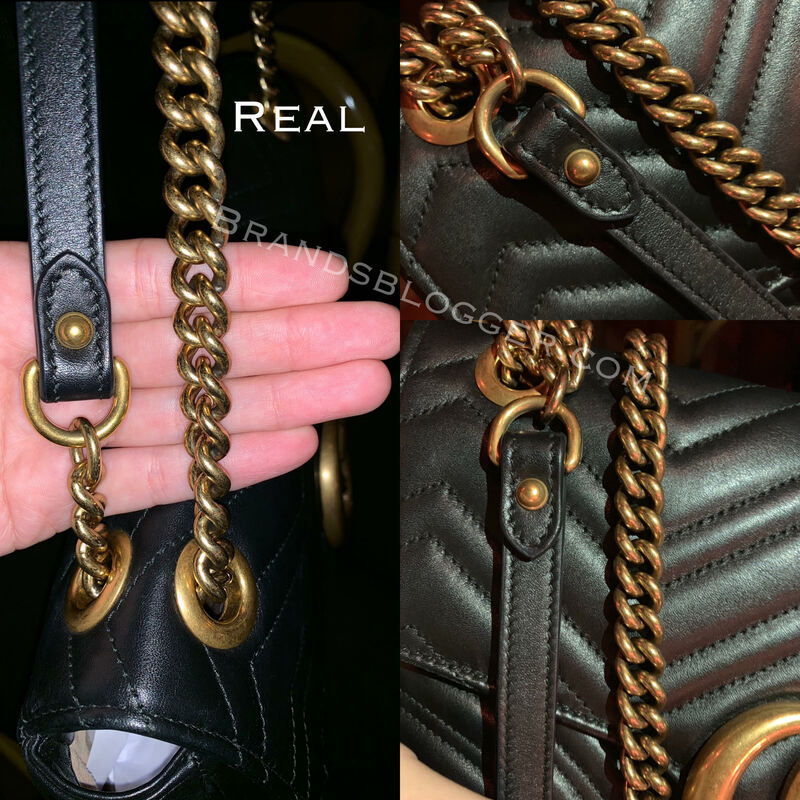 Now let’s check these differences between the GG Marmont chain shoulder bag and the replica. Take a closer look at the oversized flap signature Double G Hardware closure. 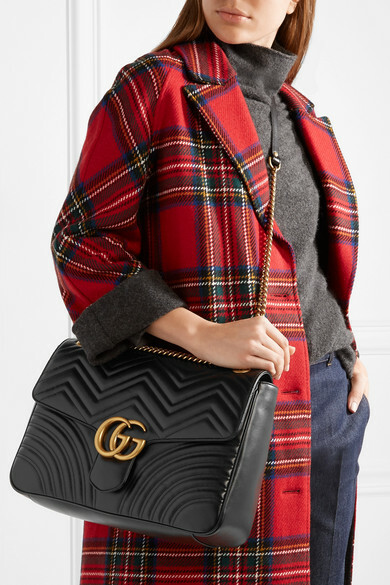 The Black matelassé chevron leather with a heart of this bag is amazing and very comfy for everyday use. 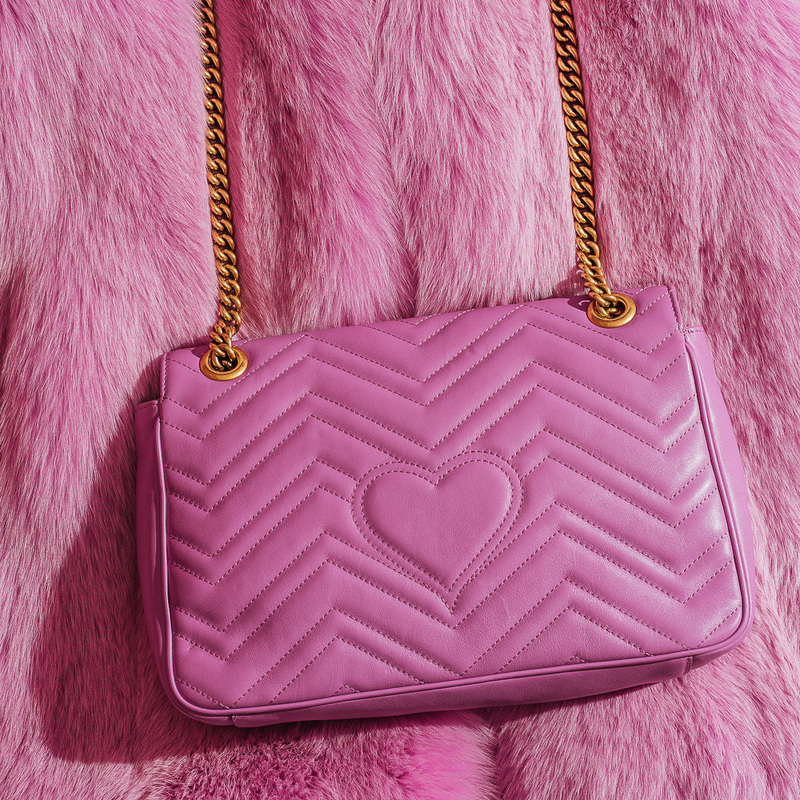 The design of zigzag stitchings, gives this bag a beautiful look and make it special. 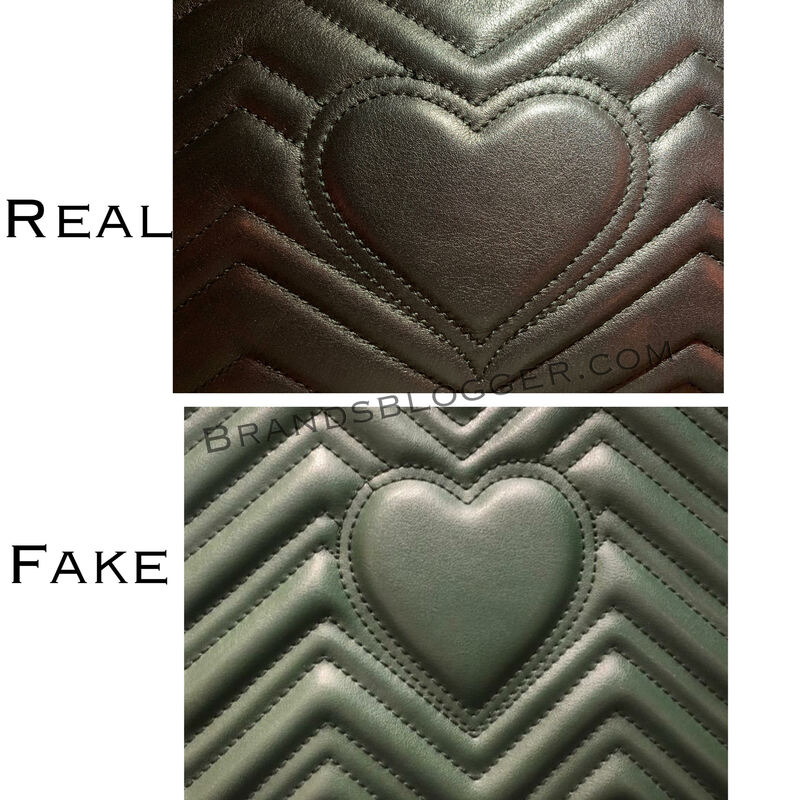 Take a look at the shape and of the heart in the back of the bag and the stitches. 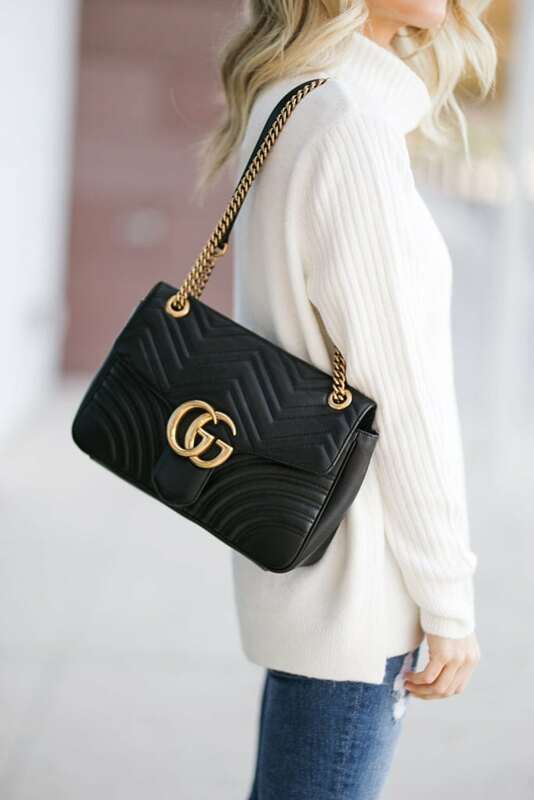 Sliding chain strap can be worn as a shoulder strap with 22” drop, as a top handle with 12” drop or as a cross body bag. 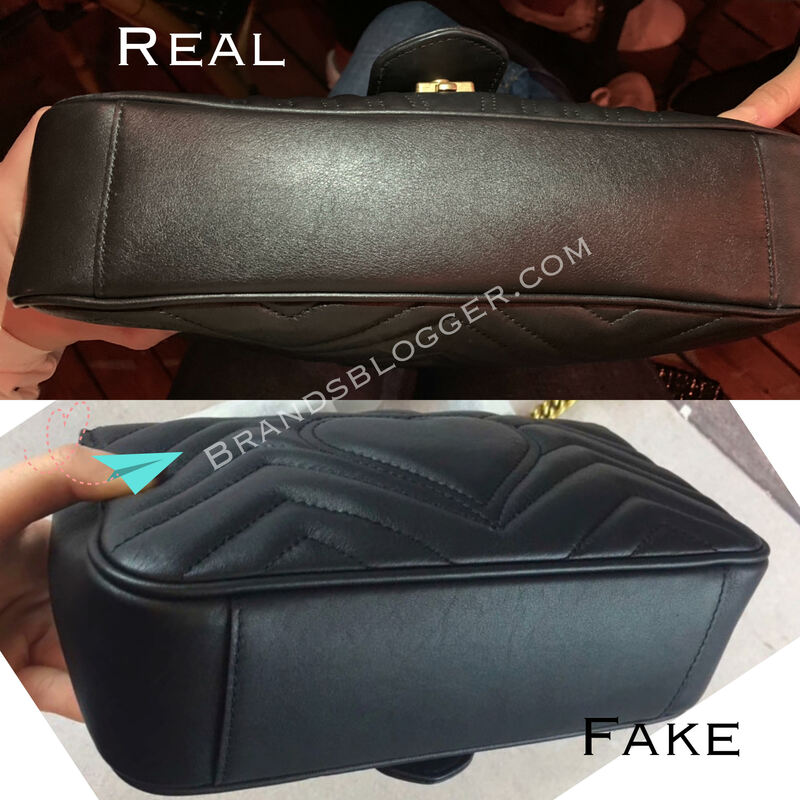 Here i have the pictures of my original bag, focus on details of the real one so when you face a replica, you are good enough to spot the differences. The things you need to look at this part of the bag is mostly the shape, leather and the stitches. Look at the picture below. 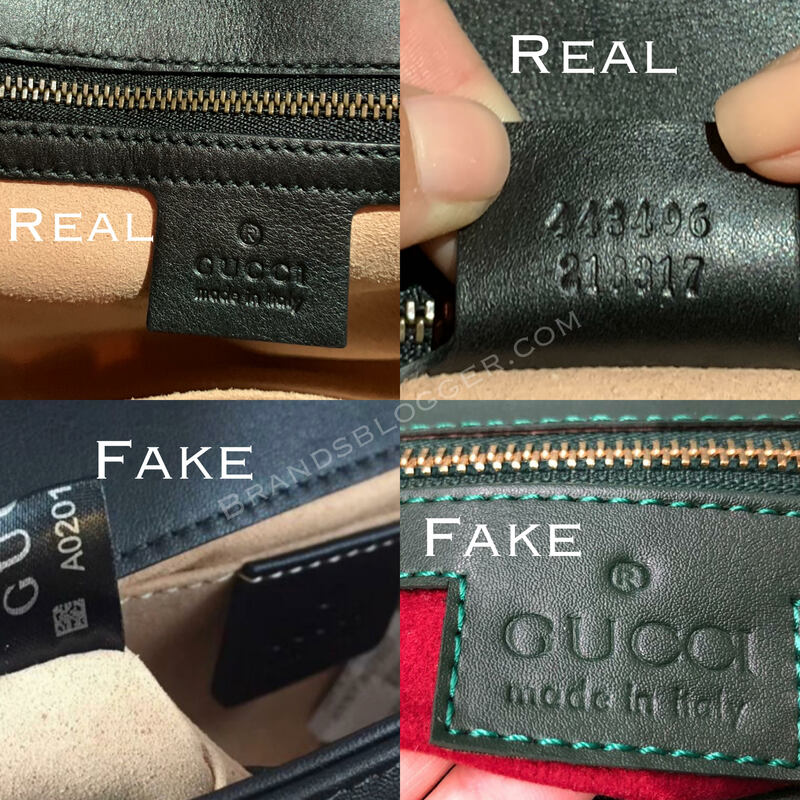 Gucci serial numbers are not unique, and a lot of replicas have the rectangular leather tag with the serial number with two rows in the back, like the authentic one. 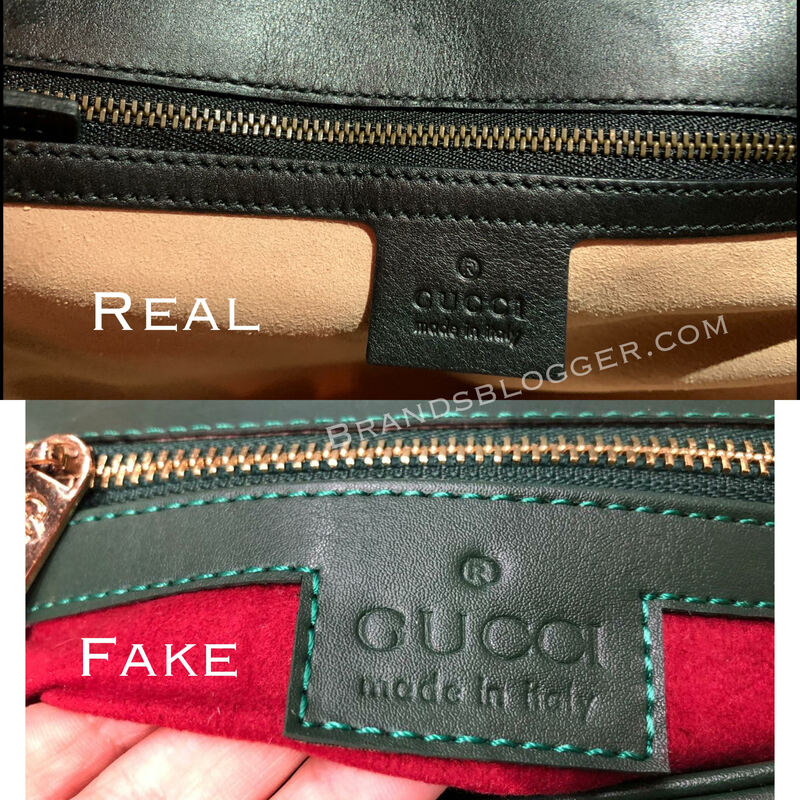 For an untrained eye, is a little bit difficult to spot the fake if you search to buy online a Marmont Gucci bag. The first thing you need to do is to focus on the Font and to check in Google search the serial number or at least one of its rows. We don’t have it clear what these numbers stand for, one of these rows could represent the style of the bag. The bottom row is made up of numbers, the top sometime has a block and sometimes it is grouped into clusters of two. 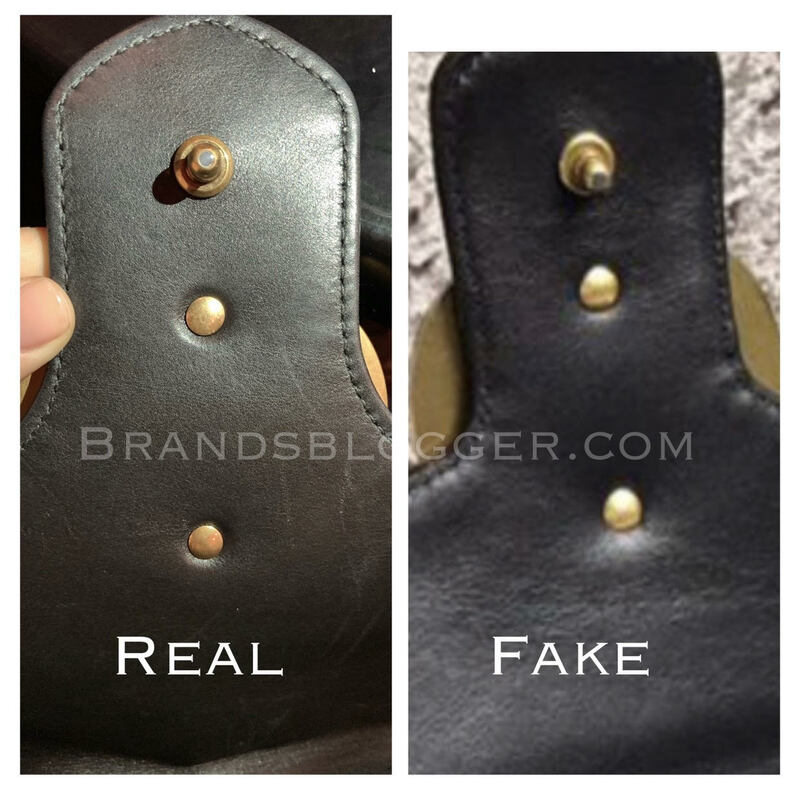 But there are some cheap replicas who don’t even have a serial number. 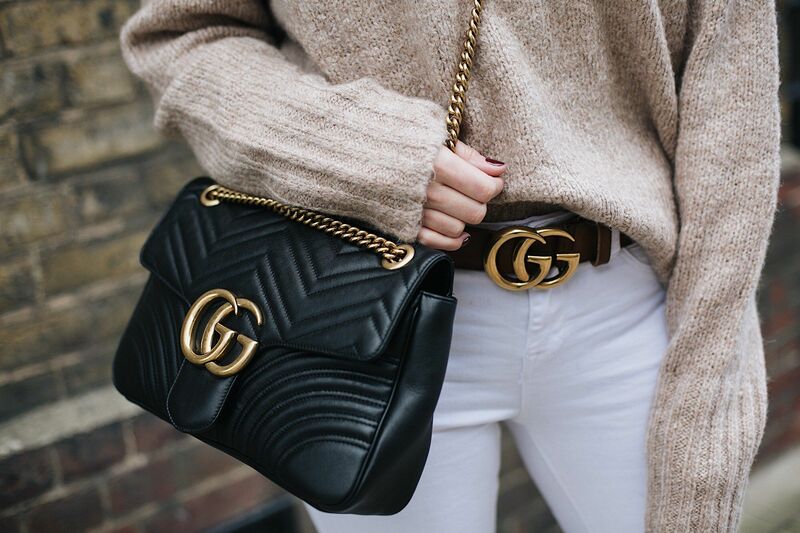 The Flap with spring closure is Antique gold-toned hardware. Did you find this article helpful? Please make sure to subscribe and share if you liked it. Thank you so much for always reading us.